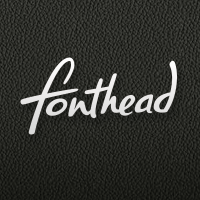 Welcome to the whimsical world of Fonthead! 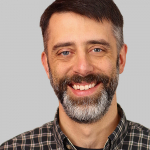 Ethan Dunham started Fonthead Design shortly after graduating from the Rochester Institute of Technology in 1994. Throughout his font design career, he focused exclusively on whimsical display fonts which were in rare supply in those "early" days. As soon as the web gained traction, Fonthead rolled its own e-commerce website and began shipping fonts digitally. Ethan produced several popular typefaces that he gave away for free, including the widely-disseminated GoodDog series. Around 2009, Ethan retired completely from font-making and moved on to found the incredibly popular Font Squirrel website, and then later to found Fontspring. Many Fonthead fonts continue to enjoy popularity, though the market has changed dramatically. Ethan often jokes that his gravestone will feature GoodDog, as it gained such enormous popularity and is in many ways intrinsically tied to who he is and what Fonthead is all about.